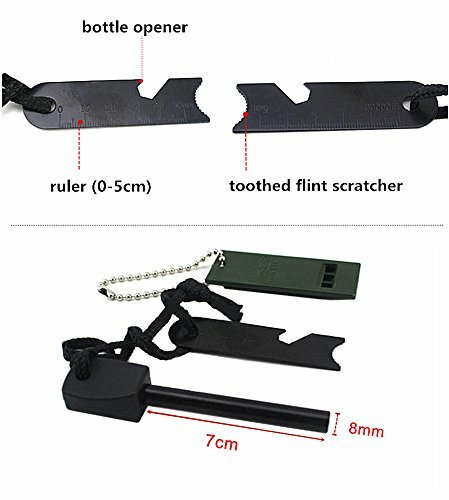 5 tools in one: Thicker Magnesium Rod, Steel Toothed Flint Cutter, Loud Emergency Whistle, Practical Bottle Opener and Scale Ruler. Magnesium Rod: Lasts for 10,000 strikes. Highly flammable while shaving and safe enough to take with. 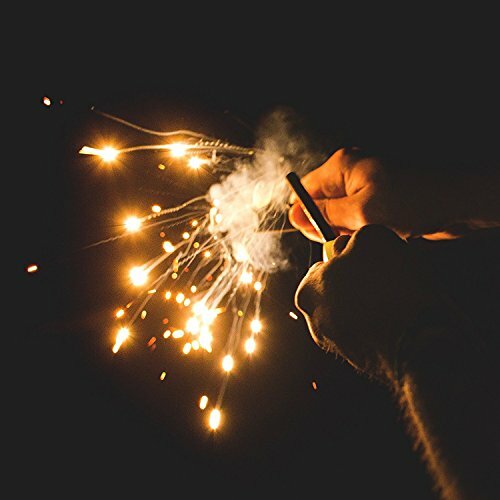 Produces a bright and intense sparks to light the kindling in any weather or altitude and the lightening sparks may also be a signal while in emergency at night. 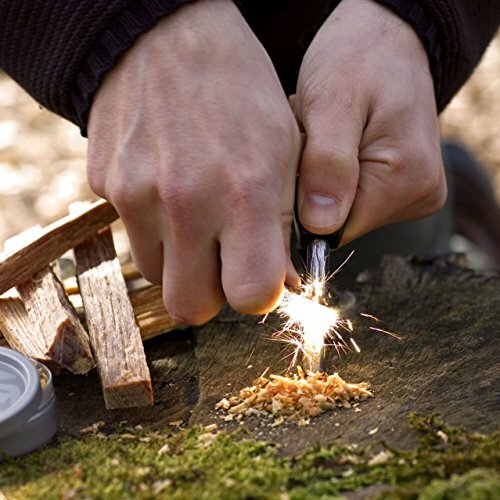 Not only for outdoor survival, can this fire starter also handy at home. 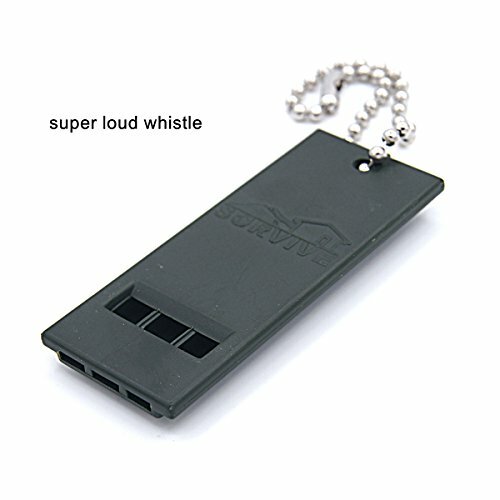 Great for lighting BBQ's, Chimneys and makes a great replacement for fireplace matches. 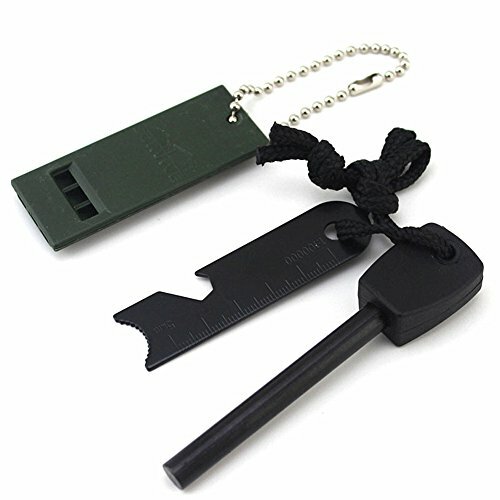 Ideal for indoor & outdoor activities, Campfire, Grills, Hiking, Hunting, Military, Rescue. 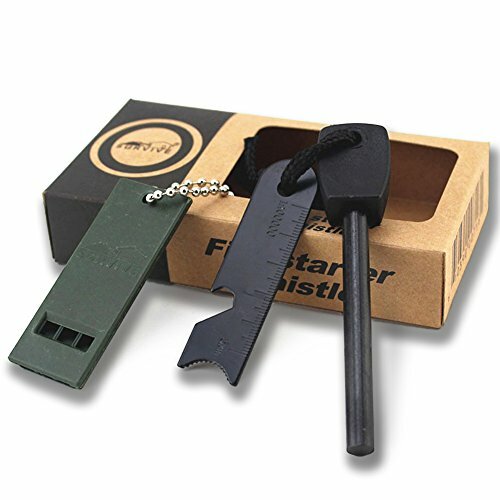 Anywhere and any weather, when you need a fire, this fire starter would be a nice handy and reliable tool.